Democrat Dean Phillips has been railing against the corrupt influence of money in politics ever since announcing his bid for Congress, but on Thursday revealed that he was loaning his campaign $1.3 million. Since his opponent, Rep. Erik Paulsen (R-MN-03) declined to sign the pledge, Phillips has now resorted to cutting himself a million dollar check. “On behalf of a district that demands principled representation, I will not let Erik Paulsen and out-of-state special interests buy this election,” Phillips continued. “They made me spend my millions!,” Paulsen Campaign Manager John-Paul Yates sarcastically responded. 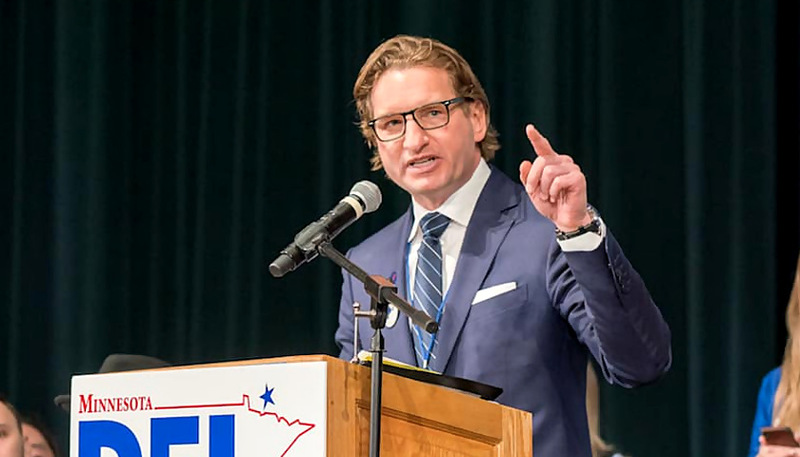 In a statement provided to KSTP, the Paulsen campaign criticized Phillips for “self-funding” his campaign while previously claiming it was “not democratic” to do so. According to a recent KSTP/Survey USA poll, Phillips currently leads Paulsen 49 percent to 44 percent.